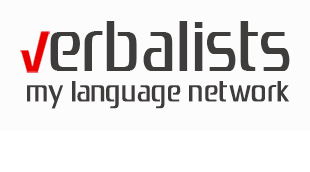 The Verbalists Language Network represents the leading Italian language educator. 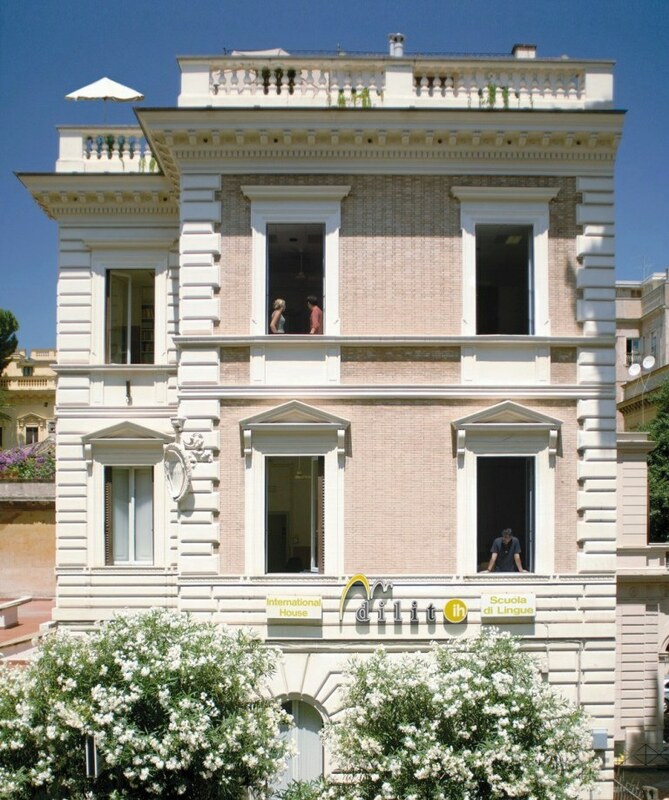 Our partner, school Dilit (Divulgazione Lingua Italiana), established in 1974, was the first school in Rome to teach Italian as a foreign language. 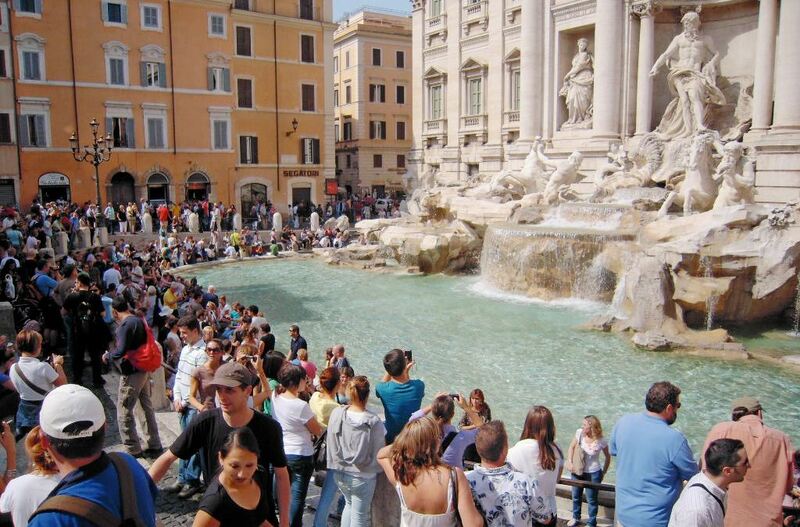 Dilit is situated in the center of Rome and conveniently placed for travel to every area of the city. Verbalists have prepared with Dilit a set of unique courses that will give you the opportunity to learn and improve Italian in a creative and stimulating way, while immersing in the Italian art and culture. The course prices include accommodation in a single bedroom of a shared apartment that can host from 2 to 6 students (the bathroom and kitchen are in common), or a single bedroom in family stay. All accommodation has been carefully selected and is centrally located. NOTE: All prices are given for single room, self catering, Standard Plus category. 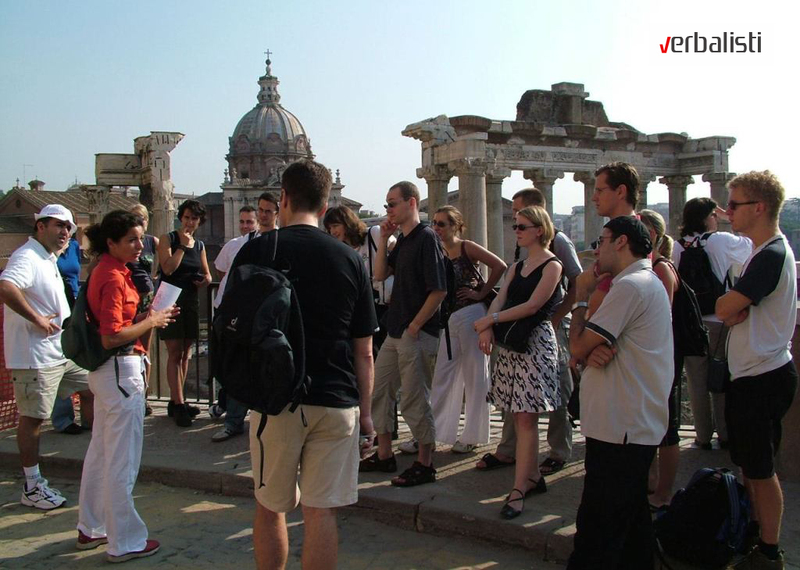 A program that allows one to learn Italian whilst going out to discover the unequaled artistic and archaeological patrimony that only a city like Rome can offer. Students are offered the opportunity to improve their Italian whilst on a theoretical and practical journey through the history of Italian art. The course consists of a series of lessons in class combined with guided visits where students will have the chance to try out what they learned in class. The course is open to all levels except beginners. There are 3 lessons a day from Monday to Friday and the course lasts 2 weeks. 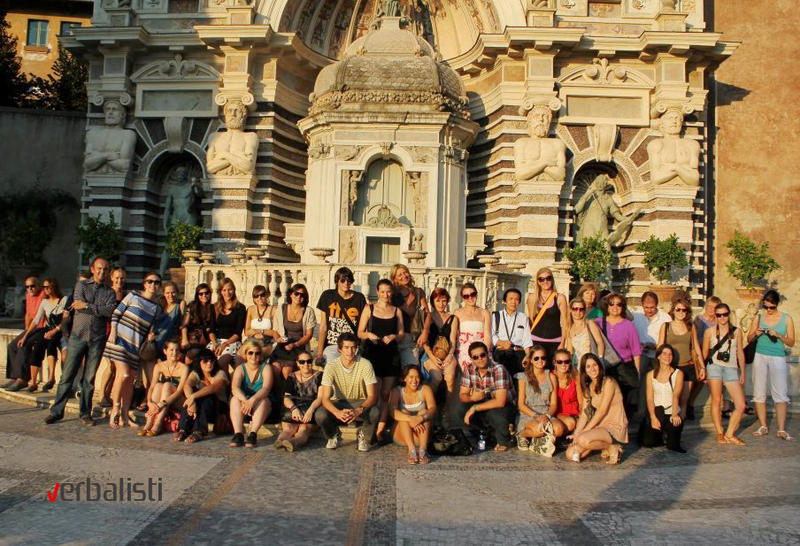 This course is both for students generally interested in learning more about one of the better-known aspects of modern Italian culture, and students intending to take up studies in Design or Fashion in Italy. The course outlines the history of Italian Design including the analysis of theories, authors and the evolution of objects since the beginning of the 20th century up to the present day. Special attention is given to the development of the concept that started as applied arts and has over the years come to be known as “industrial design” and Italian design production since the middle of the twentieth century. The course shows how, over time, design development has influenced everyday life. It is an opportunity to marvel at world famous “Made in Italy” names like Vespa, Moka Bialetti, Campari Soda, Topolino cars, Ferragamo shoes or Vanity Fair armchairs and be awed by Rosso Valentino dinner suits and then lose oneself in a Plissè signed by Cappucci. The course is suitable for students of A2 upwards and there are 3 lessons a day from Monday to Friday for 2 weeks. The course analyses the artistic and architectural testimonies of the city which, more than any other in the world, is a veritable open-air museum: Rome. From 753 A.D. up until today: via walks and color slides, students learn about “visible” architecture (buildings, churches and parks)as well as “invisible” architecture, made up of priceless EMPTY urban places: the most beautiful squares in the world. We will trace the lives and works of the most important architects of the past and present who have left indelible marks on the lives of the Roman people; we will talk about ancient history, medieval history, the Renaissance, the Baroque period and the contemporary period. The various architectural styles will be compared and each student, using the tools they prefer, will choose a monument, an area, a church, or a building to produce a little Photographic and Theoretical Research about it; at the end of the course this will be discussed in class. The course is for students from level B1 up and there are 3 lessons a day from Monday to Friday for 2 weeks. Has the advent of digital photography really improved the quality of photography now that anyone can take photographs? The ease with which one can take photos has wiped out the dividing line which up until the nineties separated artists from ordinary people. On this program you will learn about techniques for photography on film and techniques for digital photography; we will try to understand the value of an image and what it tells us; we will analyze the contents of some of the best-known photos in the world. After the first week of study and theoretical examination of all sorts of techniques, the students (in groups or individually) choose a topic (fashion, art, society, animals, journalism, etc.) to examine, first of all by analysis, on-site observations and rough drafts and then by the creation of a veritable “Photo Report Book” based on the city of Rome. The course is for students from level B1 upwards and is made up of 3 lessons a day from Monday to Friday for 2 weeks. The photographic apparatus and materials are supplied by the school. An involving way of living and learning Italian. Each section of the course begins with a particular type of written text (newspaper article, play, song, etc.) which is then reworked by the students to create a theater script. All the basic language skills are exploited plus body language and gestures. The culmination of each section is a live performance. The courses are open to students of any level except beginners. The program consists of 3 lessons a day from Monday to Friday for 2 weeks. A different way to practice Italian, a fun way to learn Italian and improve your pronunciation. Centered around selected singers and musicians, these courses teach the language, develop listening comprehension and practice written and spoken communication. Conceived of as a journey through the recent history of Italian pop music, each course offers students the opportunity to get to know this field “from inside”. Each session deals with a particular style and its major proponents and ends up with everybody singing together! The course is made up of 3 lessons a day from Monday to Friday and lasts 2 weeks. This course offers students the chance to learn Italian through the well-known and articulated medium, Italian Cinema, culminating in the making of a short film. The students, under the guidance of a professional film director and a language teacher, get first-hand experience in the designing and implementation of each stage of film-making: story writing, choosing the location, transforming the story into a script, choosing costumes, make-up and props, rehearsals (including work on pronunciation, intonation and body language), and selecting background music. A professional video camera and other film-set equipment is then used to carry out filming in the full sense of the word. After that the students and director view the footage and analyze and select scenes suitable for the final version of the film. During all stages of the work students have to use the Italian language continuously and naturally to express opinions, negotiate, convince, and act. Each course participant has a role both as actor and as costume-designer, assistant director, or screenwriter, etc. At the end of the course there is a group viewing and discussion of the completed work. Each participant receives a copy of the short film on DVD, complete with sleeve, title, names of actors, photos and script. This program may be enrolled by students of any language skill level except beginners. The courses are 6 lessons a day from Monday to Friday for 2 weeks. 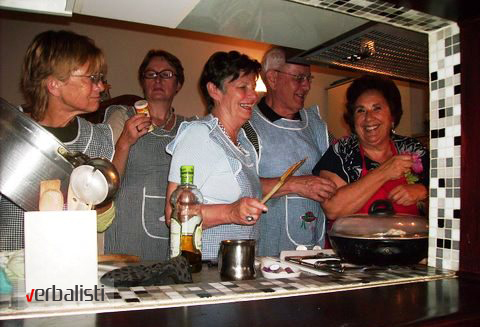 Everybody likes Italian cooking – it’s famous all over the world. Why is this? What are the secrets? Or rather what are the secrets of Italian home-cooking which is the very basis of all Italian cooking? This course offers students the opportunity to enter an Italian home, take part in the preparation of some typical Italian dishes and then eat them, together with a glass of good wine. It’s an experience which brings together culture, gastronomy and language practice. The course is open to students of all levels and is made up of two 3-hour sessions a week for 2 weeks. This course caters for people who need to use Italian at work. The objective is to develop effective communication skills at work and in business, both spoken and written. During the course, tailor-made to the specific needs of the participants, the grammar and vocabulary typical of commercial Italian – telephone conversations, company presentations, negotiations and sales, business meetings, formal letters, reports, emails and faxes – will be practiced and analyzed. The course is pitched at level B1 and is made up of 3 lessons a day from Monday to Friday and lasts 2 weeks. 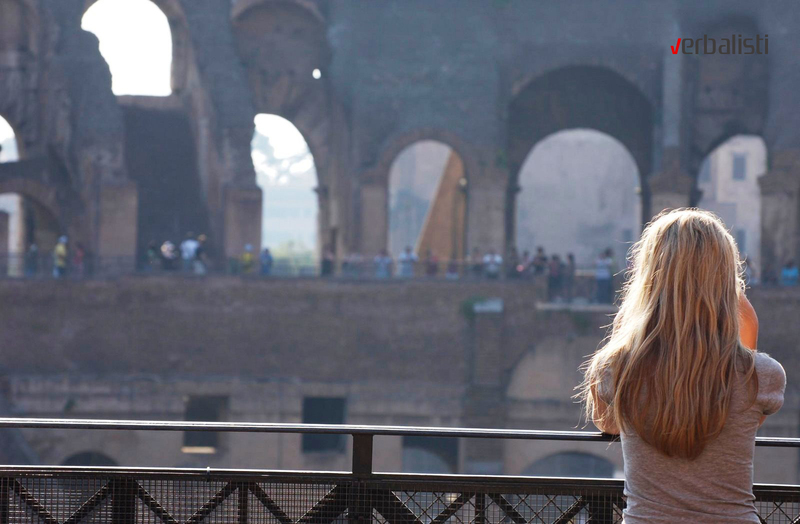 This program is a mixture of language, art, culture and the pleasure of spending time together to share and improve your knowledge of those aspects of Rome that make this city so unforgettable. It is held three times a year, lasts 2 weeks and caters exclusively for people over 50. All these activities take place in Italian and are guided and/or accompanied by teachers of Italian well versed in Archaeology and History of Art. All accommodation has been carefully selected and is regularly monitored by the school staff. It is all centrally located and the school can easily be reached in approx. 30 minutes by public transport. NOTE: The above prices are given for single room, self catering, Standard Plus category. Host Family – Students live with local residents. 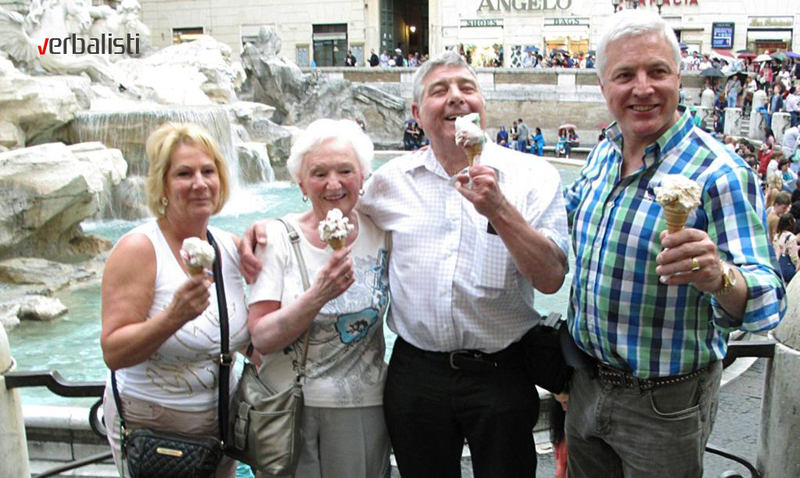 Your host family can be a “traditional” one, a single parent, an elderly person or a single. In selecting host families, our priority is that the host enjoys the company of foreign students. Host families can host from 1 to 4 students: the kitchen and bathroom are shared. Shared Flat – Students share the flat with other students from the school. Our shared flats can host from 2 to 6 students. The bathroom and kitchen are shared. Categories: Host Families and Shared Flats are classified into two categories: Standard and Standard Plus. Those who wish a higher level of comfort should choose Standard Plus. Accommodation is available from the Sunday prior to the beginning of the course up to the Saturday following the end of the course. An extra night at the beginning or the end of your stay can be arranged. Bed & Breakfast, hotel accommodation and independent flats can also be arranged. Verbalists Language Network is authorized agent of the two European leading language education associations – English UK and German ICEF. For more details, please click here. As education and language experts, who have been professionally involved with language study for more than 25 years, we have found that simply offering a program is not enough. We at the Verbalists Language Network strive to create the entertaining education content and travel experience that is fun-packed and different. 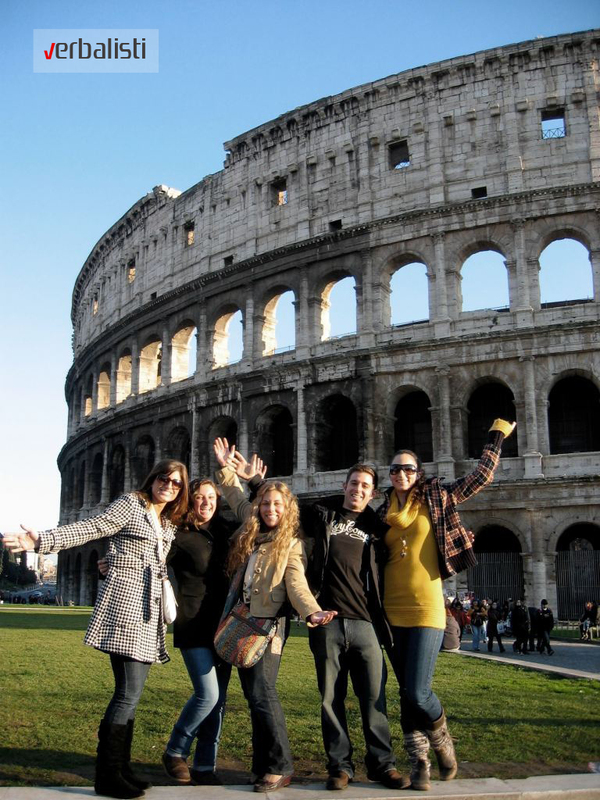 We would be happy to advise you further on our Italian language immersion courses.